Ella - Elegant CZ tennis bracelet - SALE!!! HOME / BRIDAL JEWELRY / Wedding Bracelets / Ella - Elegant CZ tennis bracelet - SALE!!! Description: Always elegant, never out of style. 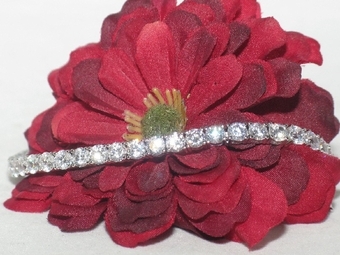 Beautiful sparkling diamond like CZ tennis bracelet with clasp closure measures 7" long. nice size stones.